It is more than six years since the government published its response to the Winterbourne View Hospital scandal. 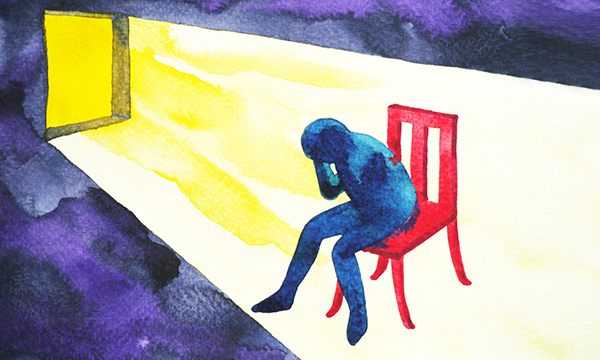 Among the many findings of the report was a warning about the misuse of restraint, which it said was a problem in assessment and treatment units. But despite countless promises things would change, the issues remain. Last year, the health and social care secretary Matt Hancock ordered the Care Quality Commission (CQC) to review the treatment people who have learning disabilities and autism receive in inpatient settings. Mr Hancock acted after hearing from families whose loved ones had spent months in isolation or experienced restraint. In a letter to the CQC, he said he had become ‘increasingly concerned’ and wanted the review completed as quickly as possible to ‘eliminate inappropriate restrictive practices’. The Joint Committee on Human Rights, which includes MPs and peers, is also looking at the units as part of a wider inquiry on detention. Figures from NHS Digital show the number of incidents in England involving restraint and people who have learning disabilities and autism rose by 50% between 2016 and 2017 to just over 22,600. Projected figures for 2018 suggest it will rise again. Related: How successful is NHS England’s Transforming Care programme? The crucial unanswered question is what proportion of these incidents are unnecessary or incorrectly carried out? The guidance says the use of restraint should be for the shortest time possible – and should only be used as a last resort. The CQC plans to talk to all people with learning disabilities and autism who have spent time in confinement and been subject to restraint. CQC deputy chief inspector of hospitals Paul Lelliott says this process will take some time – the final report is not due until March 2020. It is taking so long because he wants to delve into the ‘individual circumstances’ of why each patient has ended up in that situation. ‘I’m sorry we cannot do it any sooner,’ he adds. But Dr Lelliott is promising to share lessons as the review progresses – an interim report is expected this summer – and escalate concerns about individual cases if they arise. 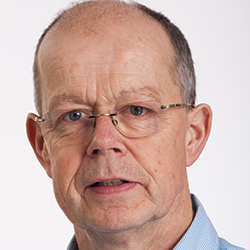 RCN learning disability nurses’ forum chair Simon Jones is convinced the system is ‘flawed’. ‘Putting people in these communal settings when they are stressed, agitated and have difficult behaviours is the worst place for them to be. He is also concerned about training – the guidance recommends preventive approaches and de-escalation techniques are used – saying restraint often becomes the ‘first resort’ rather than last. He says the system also needs to address the ‘logjam’ that causes so many people to be placed in hospitals rather than the community. She also says there needs to be a close look at services which have very low seclusion and restraint figures ‘to find out what needs to be in place to achieve this everywhere’. One of the cases behind the review is that of Bethany. She is 17 and has autism. She has spent the past two years in a secure hospital. Her father, Jeremy, says most of that time she has been in seclusion, locked in a cell with ‘no treatment and no therapy’ because she has struggled with the unit’s environment, and the staff have found her behaviour too challenging. ‘It is full of distressed people. With Bethany’s condition, she has massive sensory issues. She cannot cope,’ says Jeremy. He adds that she has no privacy, is watched in the shower and when she goes to the toilet. ‘I cannot imagine how my daughter copes with that situation,’ he says. On occasions when Jeremy visited he had to kneel down at a hatch in the door to speak to her. In a statement St Andrew’s Healthcare says it could not comment on the care being provided to a patient without their consent, but that it is a priority is to provide the ‘best possible care’. NHS England national learning disability director Ray James agrees that more progress needs to be made. He says the figures on restraint are concerning, particularly the use of ‘prone’ whereby patients are held face down – more than 13% of cases in 2017 involved prone restraint. However, he believes some of the rise may be down to ‘better reporting’ and has defended the use of restraint, saying it is sometimes needed to assess, identify treatment or because the individual has a mental health condition. He says staff need good training and more people need to be treated in the community. Mersey Care NHS Foundation Trust has introduced a programme called No Force First to reduce the use of restraint. Piloted in 2013 it is being rolled out to all inpatient wards providing care to people with mental health problems and learning disabilities. Staff have been encouraged to take several steps. These include carrying out debriefs with staff and patients when restraint is used, scrapping blanket rules that cause conflict, seeking to run activities tailored to individual needs and having ‘positive handovers’ between staff. Some wards have also introduced their own measures, including allowing families to visit outside visiting hours to assist with meals. In the space of a year the use of restraint had dropped by more than one third and assaults on staff by one fifth.